A sense of accountability is something which differentiates a believer from a non-believer. If we read Surah Al-Qiyamah we feel the dread of the Day of Judgment, the day we will be asked about our lives. The verses clearly reflect the atmosphere on the Day of Judgment. If you read along you will find the following verse: ”Rather, man, against himself, will be a witness, Even if he presents his excuses.” (75:14-15). [Translation from Sahih International]. As these thoughts swirl in your mind, you slowly slip in your blanket and close your eyes thinking that things will improve, but unless you make an intention and plan to change – you most likely don’t improve and continue to fall into unproductivity. 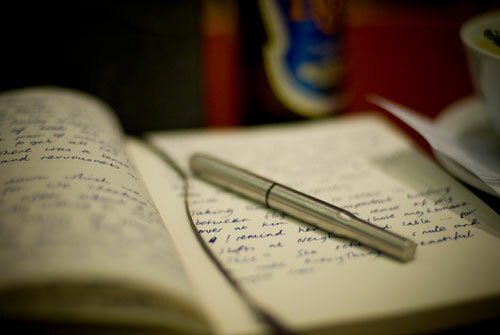 A journal can be a great tool in managing and controlling your activities. When I say a journal I mean a personal journal and not the professional one in which you record your important appointments and tasks. A personal journal is generally not shared with anybody in which you express your inner-most thoughts. A personal journal will greatly differ from person to person. It reflects the persona of the writer in its most true form. In a normal journal we get one page for one day which can be fragmented to capture the day in its best, as follows. Daily Activities: We must write our activities honestly because that is what we want to control and manage. We should always be very honest and truthful in capturing the activities because it will help give you a true picture of where your time goes, and you will come to know the areas you have to work on. A daily activity section can take most of the journal page, between 70 to 80 percent. One should write about important events which are worth noting and which taught lessons, about people one met and their good qualities and learning from them, unexpected happenings etc. This will make a day’s experience sink in our mind and after re-reading one would also come to know how productive one is. Refrain from writing a personal journal like a professional one, don’t include every small event but rather focus on the lessons you learned. Development lines: The last three lines should be devoted to personal development. Write what you learned from the day, and your own view on the way you passed your day. This will help you realize where you are heading in terms of your deeds, how you are spending time and how productive you are. Book list: As Muslims we have improve our knowledge of deen alongside our knowledge of dunya and this makes us read a number of books at a time. Tafseer and a book on seerah should always be on the reading list of a Muslim (in addition to recitation of The Qur’an, of course). Some Islamic books, such as tafseers, are voluminous and may take months to complete. Then, there is personal reading, current affairs, any reading required for school or work. This makes us read more number of books at a time but when we do this it can be difficult to manage and one may end up forgetting some books and lessons learned. To solve this problem I keep a list of books that I am reading in my journal. When I write a journal entry I refer the page and update the list by writing the page numbers where my reading has reached. This gives me an idea of what I am reading and what is the status, where I am lagging and how I can improve. A believer should have a motto that with each passing day he/she should grow with respect to his faith, personality, knowledge and productivity. When we go through pages of our journal in the future insha’Allah, it should show a gradual progress as we turn the pages. If it doesn’t, then we must reflect and review our actions and be introspective because we are accountable for our time. If we don’t put time in developing ourselves and others, then where is the time really going? Habib Siddiqui is working at Al Shirawi Enterprises, Dubai, as a Sales Engineer for the last two years. He has completed a Bachelor of Engineering in Automobiles. He is also part of the Executive Council Member of Association of Muslim Professionals India,MESCO, the Ideal Education Movement of India, and some others. He likes to read and write on world politics and practice his peaceful religion. You can visit his writing at www.lets-find-truth.blogspot.com.